Saltillo is a prosperous manufacturing city in the high desert of northern Mexico. It’s strong manufacture-oriented export economy and growing automobile industry has made it an advantageous Mexican business location. The close proximity to key cities as well as to the border in combination with its top-notch transportation infrastructure has allowed for cheap and easy transport of goods. Saltillo is the capital of the state of Coahuila, the third largest state in Mexico. The city lies 180 miles south of the U.S. border and has a population of about 700,000. Saltillo is only fifty miles from Mexico’s industrial center, Monterrey, and efficiently connects to Houston and Tampico’s seaports. Its convenient location makes it central for distribution into U.S. and Mexican markets. 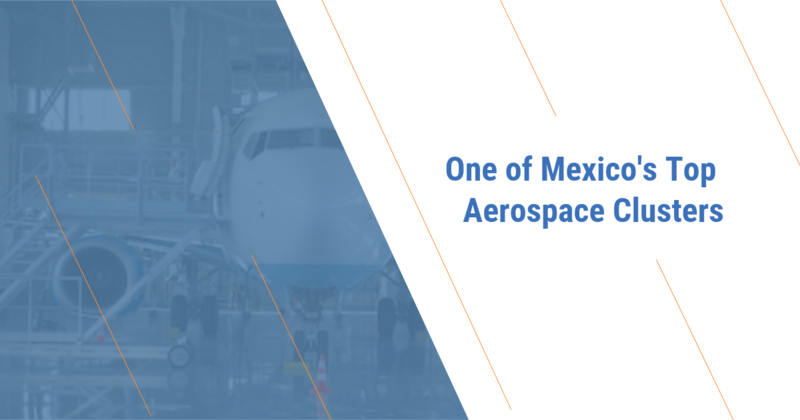 The main economic sectors of Saltillo’s economy are automotive, mechanics, electronics, plastic, and aerospace manufacturing. 90% of Saltillo’s economic base is comprised of automotive industry firms. Saltillo is widely referred to as the “Detroit of Mexico” for its Chrysler and General Motors assembly plants. It is a key center for servicing the global automotive industry and offers competitive advantages such as a highly trained workforce, a superior infrastructure, and access to large demographic markets. Approximately 1 of every 10 gasoline engines in North America is produced in this region. 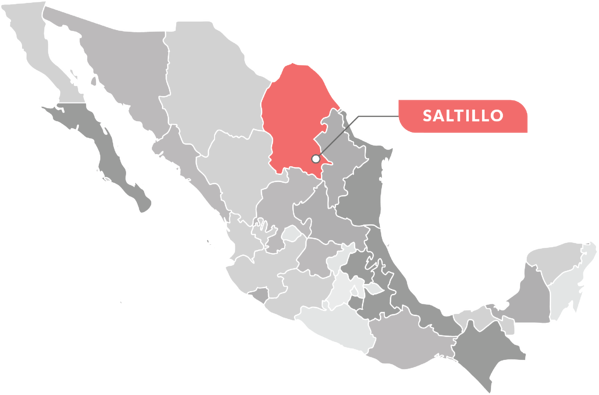 Saltillo’s labor force is exceedingly proficient, and boasts one of Mexico’s highest rates of productivity. Companies such as Ericsson and Comimsa are among the technology and research leaders in the area. Saltillo presents an exceptional business atmosphere. 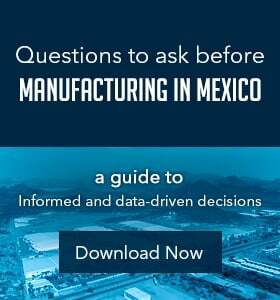 The multifaceted nature of its economy and the intensification of the education structure, Saltillo is one of the most appealing manufacturing locations in Mexico. It offers an outstanding international business environment, substantial access to global markets, a firm economy, superior quality of life, cooperative unions, world-class infrastructure, skilled human capital, competitive incentives, and far-reaching government support for foreign investment. Saltillo’s international airport is ranked second in the country, and has daily flights to Mexico City and Houston, Texas. Its air terminal has custom services for shipping and cargo services among others. There is also a railroad station which links to the national railway network, permitting access to borders, ports and the major cities of both countries. The NAFTA Highway (I-35/Mex-85/Mex-57) serves as support for the region’s vehicle manufacturing industry. The Saltillo area has a good educational infrastructure for workers and professionals—there are 16 universities, 12 technical training institutes, and 11 research centers. Educational institutions in the area have an enduring connection with the local industry and structure their educational programs to fit their needs. The city of Saltillo stands out for its intellectuals, and for the many universities and technical institutes that hold engineering and tech students, including the Universidad Autonoma de Coahuila. In total there are 179,200 students in Saltillo, over half of them enrolled in Elementary school. About 96.7 % of the population over 15 years old is literate, which compares positively with the 90.5% national literacy rate. The government offers manufacturing incentives connected to payroll taxes, training programs, and assistance in the procedures for meeting requirements at three levels of government. Further incentives can be negotiated depending the project, type of manufacturing activity, and the creation of jobs. Some incentives open to negotiation include: infrastructure works, fees with the State Public Registry, and construction permits. 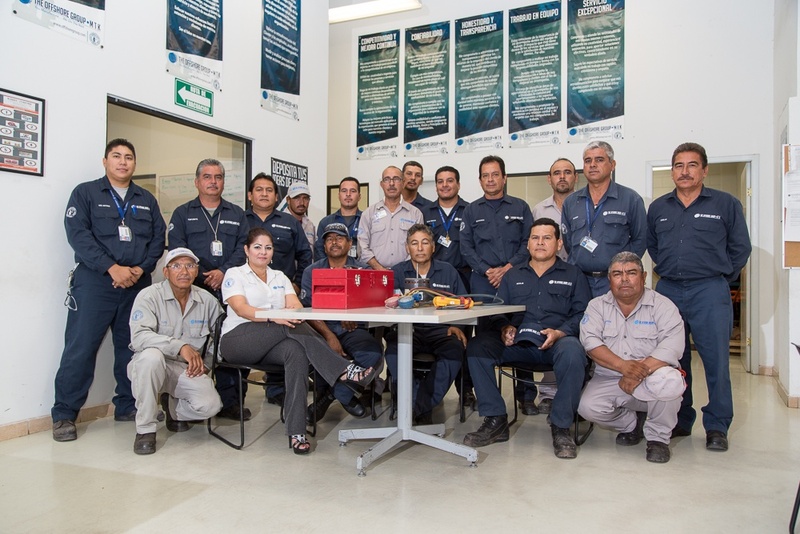 With 27% of the nation’s automotive fabrication, Saltillo ranks first in automotive manufacturing in Mexico and is recognized as a key platform for the global automotive industry. Manufacturers benefit from many logistics and cost advantages from establishing a local manufacturing supplier base in Saltillo, Mexico. 30% of passenger vehicles, and sixty-two percent of trucks produced in Mexico are assembled here. Growing research and expansion capabilities in the area offer cost advantages to assembly plants and OEMs for product development. Corporations such as General Motors and Daimler Chrysler support Saltillo’s booming automobile industry. BURGESS-NORTON DE MEXICO, CIFUNSA, S.A. DE C.V.
- PLANT I, CIFUNSA, S.A. DE C.V.
- PLANT II, CIFUNSA, S.A. DE C.V.
GM has three divisions in Saltillo, occupied in motor and transmission assembly, body part stamping, and car assembly. Daimler Chrysler has two plants in Saltillo. One of Daimler Chrysler plants assembles Dodge Rams. The second focuses on engine assembly. These plants operate under a large number of Mexican, US, European, and Japanese companies. Automotive manufacturing in Saltillo is emerging as a key sector to the global automobile industry. Its education system is of the best in Latin America, and often connects with manufactures outside of the country to ensure their curriculum matches up with their needs to provide the best workforce. The competitive advantages offered by Saltillo have also made this region a target for industrial manufacturing with an extensive supplier base. 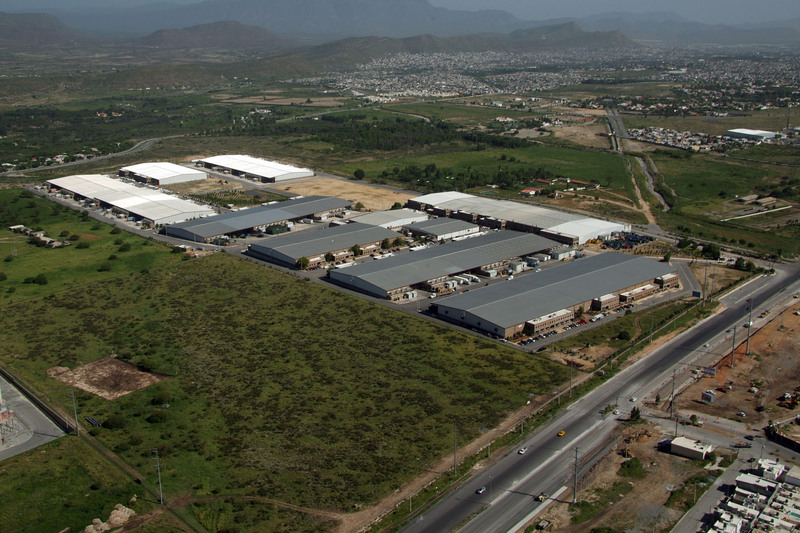 Saltillo continues to be one of the most attractive investment locations in Mexico.